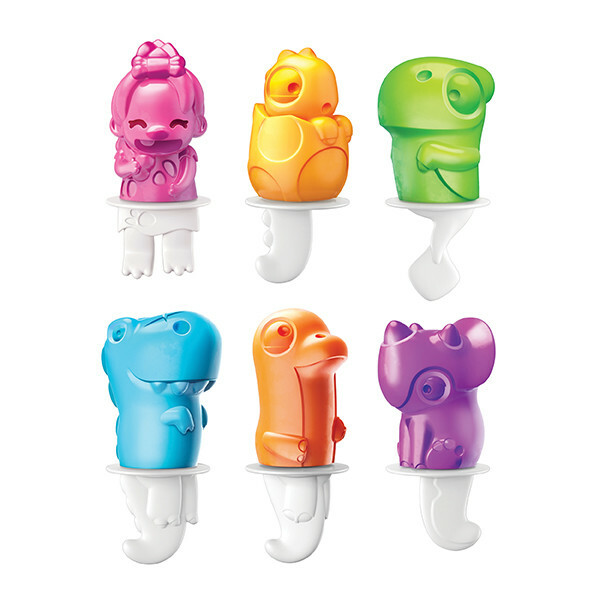 ZOKU Dino Pops these ice pops are from another era. Become an om-nom-nomivore with Lucy the Cavegirl and her five-larger-than-life dinosaur friends a stegosaurus, pterodactyl, tyrannosaurus, triceratops, and apatosaurus. You can use these for your favorite juices, smoothies, lollipops, chocolates, ice cubes and so much more. You hand wash these along with them being BPA and Phthalate Free. These are perfect for giving your kids a nice treat that you made at home and you know exactly what you put in there along with using to make lollipops for your kid’s birthday party and chocolate for a cake topper the possibilities are endless. My Opinion: I found there easy to fill and place in my freezer with my favorite juice. When they were, ready I found it easy to put the pop out of the mold and washing the mold was a breeze as well. I also like the many different juices you can use instead of the same one for all the pops.